Everybody who has not been to Jogja wants to go to Jogja. Yogyakarta — it’s formal name — is the old capital of Indonesia. It is located in the heart of Java. If Jakarta is the brain, Jogja is the soul. Jogja is famous for its culture and traditions that walk hand in hand with modernity. It is a modern city with strong un-faded Javanese values. A Hindu temple in the proximity of Jogja is Candi Prambanan. It is located in the border of Sleman (in Yogyakarta) and Klaten (in Central Java). Yogyakarta is also home for one of the most active volcanoes in the world, Mt Merapi. New beaches discovered, upping the leverage of Jogja tourism. 1. Keraton Ngayogyakarta Hadiningrat (The Palace) is located in the heart of Yogya Province. The King or Sultan serves as the Governor of the province. The Palace is considered as the most well-maintained palace in the country. Try to walk between two banyan trees in Alun-Alun blindfolded. If you passed your wish would come true. Believe me, it’s not as easy as it sounds. 2. Taman Sari is a water castle of the Yogyakarta Sultanate. It is around 2 km from the Palace. 3. 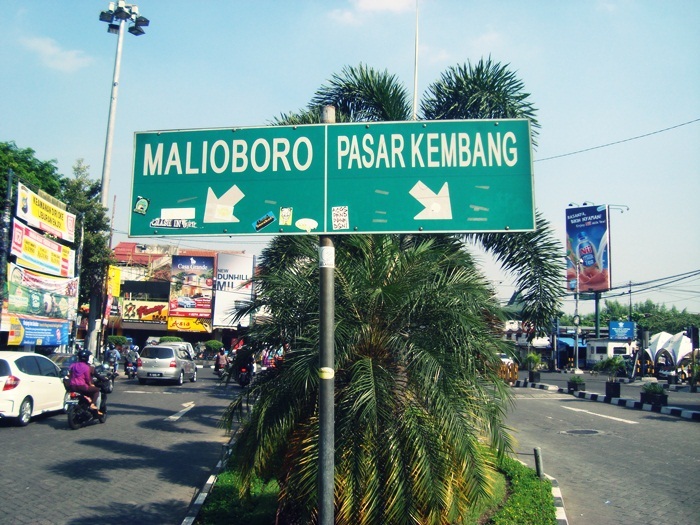 Malioboro is the most famous street in the city. It’s like Singapore’s Orchard Road. It is where travellers shop, dine, or socialize with the locals. Base your travel around Malioboro in areas like Prawirotaman, Sosrowijayan, Dagen, etc. There are hundreds of backpacker lodges or homestays in these areas. 4. 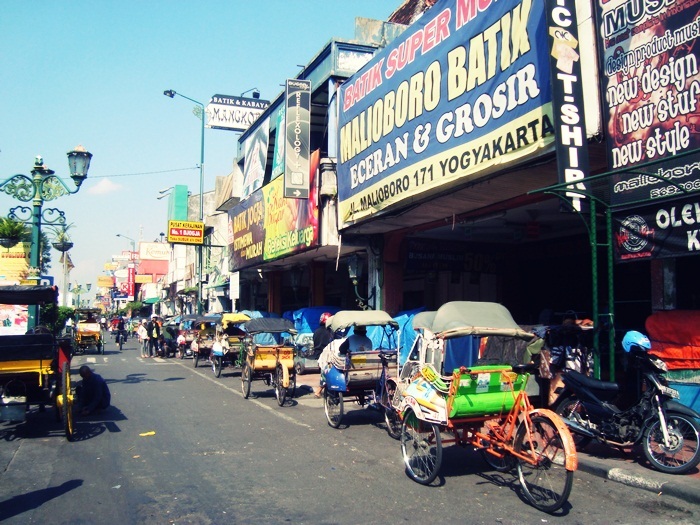 Beringharjo Market is the biggest traditional market in Yogyakarta, on Malioboro. You can get groceries, batik, souvenirs, almost everything. Do bargain and beware of pickpockets. 5. Vredeburg Fort is a Dutch Fort built in 1765 to protect colonial residence. It is on Malioboro and very close to the Palace. 6. Taman Pintar or Science Park is located just around the corner of Malioboro. It is most suitable for children. 1. Prambanan Temple is located in the border of Yogyakarta and Central Java. It is on the eastern tip of Jogja, aroung 15 minutes drive from the airport. Is it the most important Hindu Temple in the country and often compared to Angkor Wat in Cambodia, although I think it’s an overstatement. It is beautiful complex although suffered from the impact of 2005 earthquake. You go to Jogja, you have to visit Prambanan. Period. 2. Temples are scattered in Sleman — mostly around Prambanan — although not all are Hindu. Many temples in Yogya are Buddhist temples. There are: Candi (temple) Sari, Kalasan, Sambisari, Gebang, Ijo, Ratu Boko, and few smaller others. 3. Monumen Jogja Kembali and Lampion Park. The monument was built to commemorate the successful attack against the Dutch in 1949. Just recently, the management added huge lampions/paper lanterns. The park opens from 5pm. 4. Mt Merapi is said to be the most active volcano in the world. Well, it erupts many times. The last eruption, in 2010 killed around 200 lives. You still can see the remains of the surroundings, the ashes, the rocks, etc. Take a tour using motorbike or jeep. 5. Museum Gunung Merapi or Museum of Mt Merapi is a newly opened museum exhibits everything related to Mt Merapi, such as rocks, photos, miniatures etc. 6. Ullen Sentalu is a beautiful private art gallery in Kaliurang. Opened in 1994 to preserve Javanese culture and arts. 1. Parangtritis is the oldest and by far the most well-known beach in Yogyakarta. 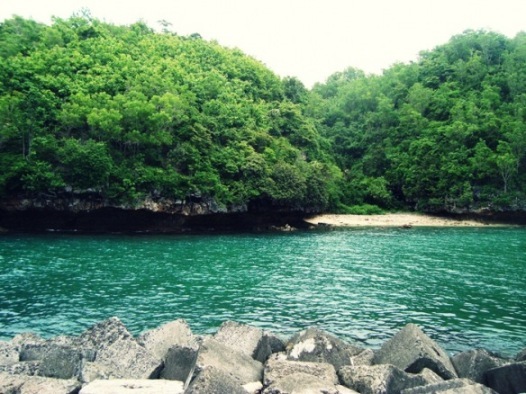 It is famous for its legendary Nyi Roro Kidul (Queen of the South). It is also the beach where the Palace conducts some of its rituals such as labuhan and nglarung. Nearby there is Parangkusumo. 2. Depok beach is famous for its fish market.You can get fresh seafood or get it cooked on the stalls lined on the beach. 3. Goa Cemara and Kuwaru beaches are relatively new. Both beaches have fir trees serve as windbreaker to protect the farmers’ crops. 4. Gabusan Art Market is the right place to look for souvenirs, paintings, and antiques. A water park was recently built in the premise. Welcome to Jogja! Sugeng rawuh wonten Jogja! Makasih. Masih berusaha dilengkapi lagi. Stumbled upon this while researching trip to Jogja. Great blog and I salute you guys for embracing such a lifestyle. I just want to see as many world heritage sites as possible. We (family of 4) will be in Yogja/Solo for three days, 2 nites and will fly into Jogja around 1230pm and leave from Solo airport at about 4pm on third day. We have booked a hotel near Borobudur for first nite and one in Jogja near Malioboro street for the second nite. Based on the info, do you have any advise on the best itinerary so that we can maximise the short time we have in Jogja and Borobudur and also incur least cost (if possible). Wah jadi pengen main ke jogja lagi nih, udah lama banget ga pulang. terakhir bareng temen-temen 2014 kemarin, kemungkinan akhir tahun 2016 ini aku rencain buat visit jogja lagi, ohya aku udah googling2 hotel buat akmodasi selama disana, gak sengaja nemu website diskon gitu yang nge link ke pegipegi https://www.picodi.com/id/pegipegi kira kira aman ga nih website diskonnya ya? kayaknya sih pas aku cek lumayan menggiurkan diskonnya.